FHA’s $100 Down Program​ is allowed for Kentucky Home Buyers buying a home that is owned by HUD or FHA​. The $100 Down sales incentive permits a Borrower to purchase a HUD REO Property with FHA-insured financing with a minimum downpayment of $100. This program can ONLY be used to purchase homes owned by HUD OR FHA. Check the link below to see if any properties are offered in your area. If a property is eligible, the listing on the website will specify $100 Down Financing Incentivize. You can find all current listings for sale by HUD here. Occupancy: The property must be purchased for use as your Primary Residence. Property Type: Eligible properties include 1 or 2 unit homes, manufactured homes, condos, and PUDs. Full Price Offer: You must submit an offer for the full listing price. Typically, when you purchase a home, you make an offer to the seller…. we all want to get the best deal so you may offer less than the asking price… or you may offer more if the home you want is being bid on by many buyers…. With HUD REO properties this is not allowed. The sales price HUD has on the listing is what you must offer. Sales Contract: The $100 down payment incentive must be included on the executed sales contract. Credit Score:​ ​580 is the minimum FICO score you must have to qualify for a FHA Kentucky Home Buyer using the HUD $100 Down loan program. How long do you have to wait to get approved for a mortgage loan after a bankruptcy in Kentucky? ARE YOU CURRENTLY IN A CHAPTER 13 BANKRUPTCY OR HAD A CHAPTER 7 BANKRUPTCY IN THE PAST? 2 year waiting period to qualify for FHA Loan to qualify for a FHA Loans after discharge of Chapter 7. One year into a Chapter 7 Bankruptcy to qualify for a Chapter Loan into a Chapter 13 Bankruptcy repayment plan. No waiting period after a Chapter 13 Bankruptcy discharge date. 4 year waiting period to qualify for a Chapter 7 Bankruptcy discharge date to qualify for a Conventional Loan. Two year waiting period to qualify for a Chapter 13 after Chatper 13 discharged date to qualify for a Conventional Loan. The view and opinions stated on this website belong solely to the authors, and are intended for informational purposes only. The posted information does not guarantee approval, nor does it comprise full underwriting guidelines. This does not represent being part of a government agency. The views expressed on this post are mine and do not necessarily reflect the view of my employer. Not all products or services mentioned on this site may fit all people. Mortgage loans only offered in Kentucky. Kentucky FHA loans after a bankruptcies, foreclosures, deeds-in-lieu of foreclosure, pre-foreclosures, short sales, and mortgage charge-offs. Kentucky FHA loans after a significant derogatory credit events which include bankruptcies, foreclosures, deeds-in-lieu of foreclosure, pre-foreclosures, short sales, and mortgage charge-offs. 3. The Borrower must have re-established good credit; or chosen not to incur new credit obligations. – Has since exhibited a documented ability to manage their financial affairs in a responsible manner. ‐ Has since exhibited a documented ability to manage their financial affairs in a responsible manner. 1. A Borrower is generally not eligible for a new FHA-insured Mortgage if the Borrower had a foreclosure or a DIL of foreclosure in the three-year period prior to the date of Case Number Assignment. 2. This three-year period begins on the date of the DIL or the date that the Borrower transferred ownership of the Property to the foreclosing Entity/designee. 1. A Borrower is generally not eligible for a new FHA-insured Mortgage if they relinquished a Property through a Short Sale within three years from the date of Case Number Assignment. 2. The three-year period begins on the date of transfer of title by Short Sale. The current mortgage insurance requirements are kinda steep when compared to USDA, VA , but the rates are usually good so it can counteract the high mi premiums. As I tell borrowers, you will not have the loan for 30 years, so don’t worry too much about the mi premiums. Kentucky FHA, VA, USDA & Rural Housing, KHC and Fannie Mae mortgage loans. These are just general guidelines and everyone’s personal finances are unique. Your credit score is one of the most vital piece of information when qualifying for a loan and you can greatly affect it too. What do mortgage lenders use to determine my credit score? What does FICO stand for? What determines my FICO score? 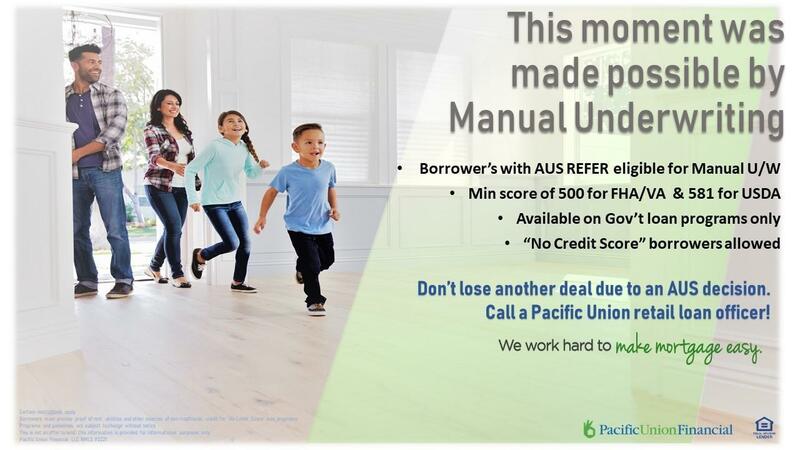 What’s a good FICO score? What if my FICO score is below 620? Can I get a copy of my credit report? Ah Ha! Now I understand all things credit and I’m this much closer to owning my home! 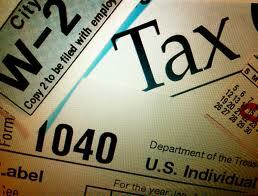 Your identity: name, social security number, date of birth and possibly employment information. Your existing credit: credit card accounts, mortgages, car loans, students loans etc.including credit terms, how much you owe, and your payment history. Your public record: Judgments against you, tax liens or bankruptcies. Recent Credit Inquiries: Requests for your information from companies extending credit such as credit card companies, auto loans, etc. Be aware, credit card companies, car companies and mortgage lenders use slightly different models to determine credit risk. Today we are focusing on Mortgage related credit. How do lenders calculate my credit score? Your credit score is the key to your castle. Your home is most likely the most expensive purchase you will ever make. Therefore, when buying a home, lenders use a different system for assessing risk than credit card companies or even auto loan companies use. Mortgage lenders use a comprehensive system of checking credit called a Residential Mortgage Credit Report (RMCR), commonly called a “Tri-Merge” report. The RMCR report combines your three credit reports from the three national credit bureaus, Equifax, Experian, and TransUnion. Each credit reporting agency calculates your credit score or FICO Score differently. 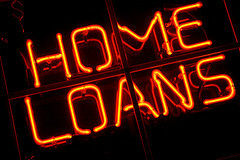 Therefore, pulling from all three bureaus gives lenders a more complete picture of your credit behavior. Once pulled, lenders use the average of these three scores, usually the middle score, to determine loan qualification and interest rate. For example, if Equifax gives you a 720, Experian a 730 and TransUnion a 740, the lender will use the 730 FICO Score to help determine the terms of your mortgage. If you are applying for a loan jointly, your partner’s three reports will also be pulled. FICO stands Fair, Isaac and Company. Over 25 years ago, lenders began using FICO’s scoring model, or algorithm, to fairly and more accurately determine a person’s credit risk. Since it’s inception, FICO’s continually updates its’ algorithms to reflect more current lending trends and consumer behaviors. Today, FICO Scores are used by over 90% of enders. Importantly, your FICO score can impact your loan interest rates, terms, approvals and more. A Mortgage FICO score is determined by an algorithm that generally looks at five credit factors including payment history, current level of indebtedness, types of credit used, length of credit history and new credit accounts. To qualify for a conventional loan, most Mortgage lenders require a FICO score of 620+. The best interest rates go to borrowers with a 740+ FICO score. For each 40 point drop, borrowers can expect to see a slightly higher interest rates by about 0.2 percentage points. If a borrower drops below 660, the increase is likely to be twice as big, a 0.43 percentage point increase. If your credit score is below 620, it is very difficult to get a conventional loan in today’s marketplace. However, don’t be discouraged. You may still be able to buy a home. What if my FICO or credit score is below 620? Put more money down. Some lenders offset a weak credit score with a higher down payment. A higher down payment gives you more equity in your home, lowering the lender’s risk. You may qualify for a non conventional government issued loan such as an FHA, Veterans Affairs and/or U.S. Department of Agriculture loan which have less stringent lending requirements. You may work to get that credit score up! Correct any errors on your report. Analyze your credit items line by line. If you notice a mistake, dispute it right away with either the credit bureau providing the report or the company that providing the incorrect information to the credit bureau. Make all your payments on time. Late payments are the No. 1 way to lower your credit score. Pay down revolving debt. Keeping your credit balances low helps to raise your score. Sit back and relax. As long as you’re paying down debt and making payments on time, your credit score will eventually rise on its own. Can I get a copy of my credit report after a lender has pulled it? Yes! In fact, you can get one free credit report every twelve months from each of the nationwide credit bureaus—Equifax, Experian, and TransUnion. You may also purchase your credit score at any time from any of the credit bureaus. Some Mortgage lenders will tell you your score when you apply for a loan or even give you a copy of your report but they are not required to do so. However, if a lender denies you credit, under the Fair Credit Reporting Act (FCRA) you are entitled to a free copy of your personal credit report if you have received notice that in the past 60 days you have been declined credit. You ALWAYS get a free copy of your credit report from me. We suggest that our clients use a local mortgage lender and avoid the big banks. Local lenders provide excellent service, you talk to the same person throughout the loan process, if something is (or isn’t) happening with the loan they can easily check on it with someone right there in their office. If you have mortgage questions, ask them in the comments section so others will get the answer too. If you want a personalized answer for your unique situation call, text, or email me. The view and opinions stated on this website belong solely to the authors, and are intended for informational purposes only. The posted information does not guarantee approval, nor does it comprise full underwriting guidelines. This does not represent being part of a government agency. The views expressed on this post are mine and do not necessarily reflect the view of my employer. Not all products or services mentioned on this site may fit all people. NMLS ID# 57916, (http://www.nmlsconsumeraccess.org). Mortgage loans only offered in Kentucky. Financial expert Mark Lamkin explains the best way get your finances in order and start your search. 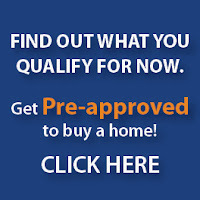 00% Financing Zero Down Payment Mortgage Loans for Kentucky Home Buyers. For the first First Time Homebuyer, I hope you find this website educational and informative, giving you the confidence when buying your first Kentucky Home. USDA, VA, KHC, and FHA loans all offer $0 Down Home Loan Options-Text or Call for your free application 502-905-3708- Email Kentuckyloan@gmail.com Equal Housing Lender NMLS#57916. This website is not affiliated with any government agency.